I am Shivam Pandya, I am staying at Bhavnagar. I would like to let you know that my aunty named Dipti ben Pandya 48 year old. complained about Severe headache and vomiting before 4-5 days. 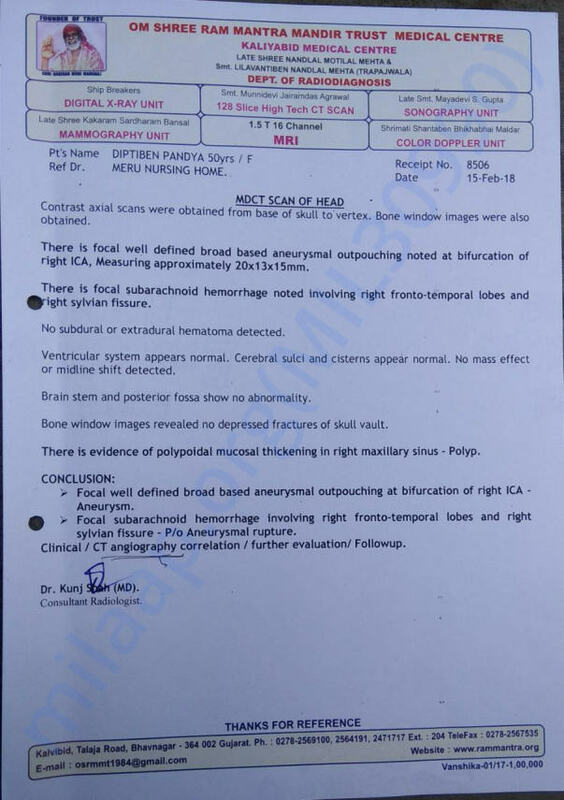 we took her to Meru nursing home (Dr.Dijesh shah Neuro surgeon) He advised CT Scan and CT Angio of brain. 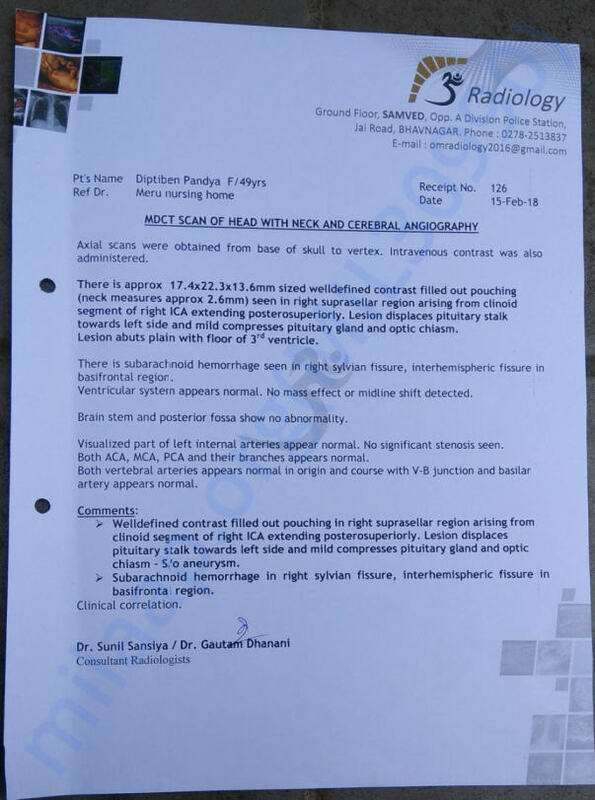 He referred for higher center in Ahmedabad and suggest surgery. Now she is admitted at Neuro1 Hospital (s.g.Highway) Ahmedabad. 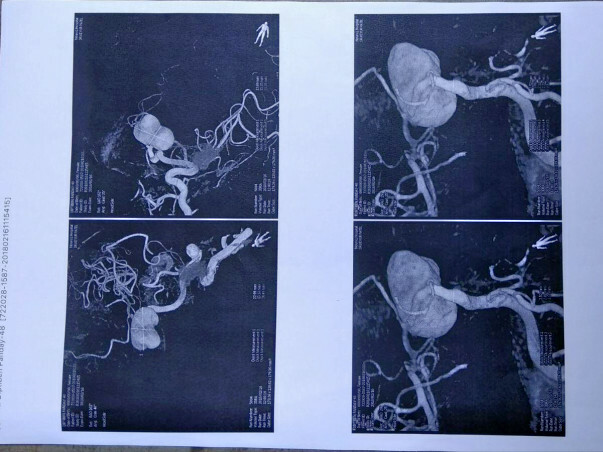 Dr.Keyur Patel Neuro surgeon did DSA report and found 22-23 MM sized aneurysm and haemorrhage in brain. 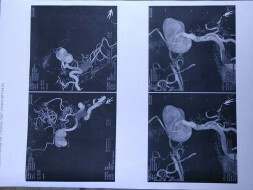 He advised surgery of flow diversion and estimate of the surgery is near about 8 Lacs. 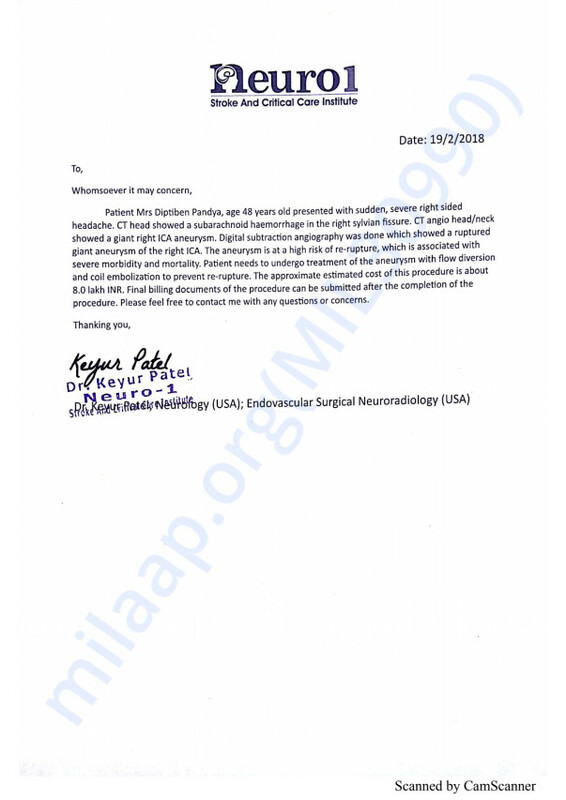 Patient is having life threatening condition, this surgery is compulsory for the case and we have consulted 3-4 Neuro surgeon and they told the same, So we need some financial help from your side if possible. My uncle and my family can not afford such kind of big amount and my uncle is working with Pvt company and his salary is 10000 a month and we do not have any other financial support, so it’s my humble request to you to help us financially whatever possible at your level.